Grace Barnum's life is precariously balanced on sensible choices and uncomfortable compromise. She dutifully edits textbooks that, she fears, may be more harmful than helpful to kids. She is engaged to a patent attorney who is steady and reliable. She has a cautious relationship with her fascinating father, a renowned New York painter, and she prefers her mom slightly drunk. 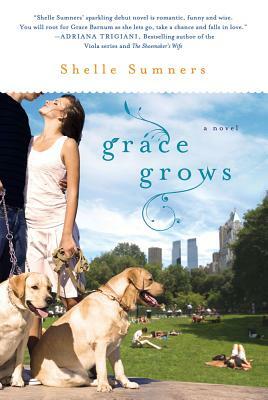 SHELLE SUMNERS has worked as a waitress, actress, copy editor, bookseller, and wedding chapel receptionist. Sometimes she only pretended to do these things while furtively scribbling notes for screenplays and novels. Shelle lives with her husband, Lee Morgan, and daughter in Pennsylvania. "Readers will fall for the swoonworthy hero and root for the couple to overcome each obstacle."